b. Driver door is OPEN (all other doors are closed). a. 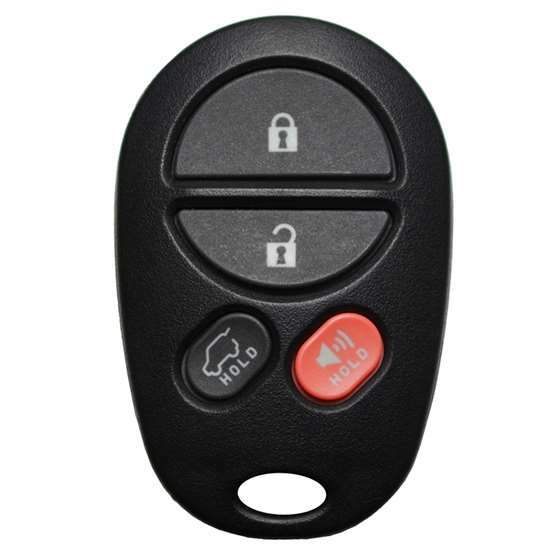 Perform 5 lock/unlock cycles again with the switch on the driver’s door starting with lock. c. Turn the ignition to ON (as far as you can go without cranking your engine) then back to OFF. a. Press the LOCK and UNLOCK buttons on the transmitter simultaneously for 1 second and release. b. Immediately after letting go of the lock and unlock buttons, press the UNLOCK button by itself and release. Within 3 seconds, the door locks should cycle (lock then unlock) once indicating successful programming. If the door locks cycle twice (two lock and unlock cycles), this means your remote has not been accepted. Repeat steps 6a and 6b until the door locks cycle only once. c. Repeat steps 6a and 6b for each remote including old ones. 7. Close the driver’s door.